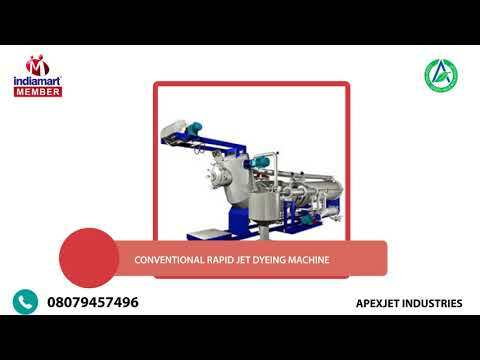 Founded in the year 2015, Apexjet Industries is continuously excelling in the area of manufacturing high-quality Dyeing Machines. We provide a wide variety of Eco-Logical Fabric Jet Dyeing Machine, Fabric Dyeing Machine and Soft Flow Dyeing Machines which are known for precisely engineered design and excellent functioning. Our products stand entirely different from our competitors because of the optimal strength, uniformity, and dimensional accuracy. The goodwill of our company is encouraged by our technological adeptness and accurate research and development activities.